Expert Rodent & Rat Control..Mouse Pest Control Hanover MA..
Mice are nocturnal creatures and are rarely seen by the homeowner. When only a few mice are present, you might notice some droppings or hear them at night. After the mice start multiplying, they begin to get noticed running across floor areas late at night. 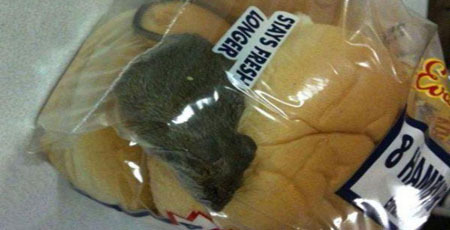 If you see house mice in the daytime, it is an indication of a large mouse infestation. The greatest economic loss from mice is not due to how much they eat, but what must be thrown out because of damage or contamination. Food, clothing, furniture, books and many other household items are contaminated by their droppings and urine, or damaged by their gnawing. Besides fire, the real damage by mice in our Hanover MA homes is by contamination. Rodents are also the vectors of human disease, they are incontinent and consequently foul wherever they travel, their droppings and fur will contaminate food preparation surfaces and foodstuffs. Mice also spread diseases; salmonellosi, rickettsialpox and lymphocytic choriomenigitis and exposure to mice feces can cause asthma in humans. There are three species of mice that are found in our Hanover MA homes (house mice, white-footed mice and deer mice), but house mice are the most common. The white-footed mouse in eastern North America is the most popular host for the bacteria that cause Lyme disease and the ticks that transmit it. This species is similar to the deer mouse. Like the deer mouse, it may carry Hantaviruses, which cause severe illness in humans. It has also been found to be a reservoir for the Lyme disease causing spirochete, Borrelia burgdorferi. In comparison to the house mice, white-footed and deer mice have larger eyes and ears. They are considered by most people to be more “attractive” than house mice, and they do not have the characteristic mousy odor of house mice. All three of these species of mice cause similar problems in Hanover MA and require similar solutions. 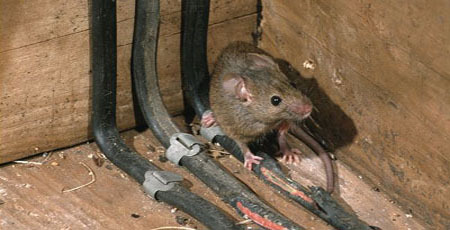 Mice are the most common rodents found within structures in Hanover MA, particularly in the fall and winter. The most obvious indicators of their presence are droppings (1/8 to 1/4 inch long, dark and pointed at both ends). Mouse traps are not the best way to get rid of mice in your Hanover MA home. Mouse traps are best used for mouse pest control, not mice elimination. They tend to catch just some of the careless juvenile mice, not many of the adult mice. So, using mice traps for getting rid of a mice problem is an ongoing measure requiring constant removal of dead mice. Since our Hanover MA customers want us to rid their home of all the mice as quickly as possible, using mouse traps is not an viable option for mice extermination. Mice extermination of house mice, deer mice and white footed mice inside your Hanover home is best accomplished with the correct rodent baits. We have different baits for various parts of your home. The bait must be attractive enough for the mice to eat, even if they already have a food source stored inside your walls, or above your ceilings. The food the mice have stored in your walls and ceilings leads to very difficult to control pantry pest infestations (such as, Indian meal moths and various types of grain beetles) that can linger for up to 8 years after the mice are gone. The surest way to get rid of mice is to use the proper scented mouse bait and bait formulation for each type of location in your home. i.e. 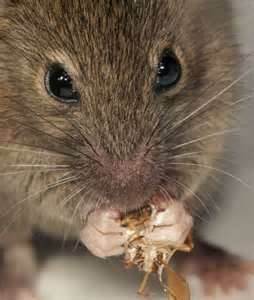 The right bait for eliminating mice in the attic, will be useless in a damp garage location. We have the proper bait for varying locations, so the bait will be quickly eaten and last in each type of environment for an extended period of time. Note: If proper baiting is done for house mice, white-footed and deer mice in your Hanover MA home will also be controlled. Behavioral differences may result in white-footed and deer mice carrying off and hoarding more bait than house mice normally do. For this reason the use of properly designed bait stations and the correct bait formulation is critical in preventing this relocation of rodent bait inside your house. Moth balls or flakes (naphthalene) may effectively repel mice from closed areas where a sufficient concentration of the chemical can be attained in the air. Moth balls are not registered for mouse pest control and will leave your Hanover MA home with a foul smelling odor for years. The rats found in Hanover Massachusetts are called brown rats, street rats, sewer rats, Norway rats, or wharf rats, but they’re all the same species of rat (Rattus norvegicus). They’re most commonly called just rats or Norway rats. The Norway rat has a body length up to 10 inches long, and a similar tail length; the male weighs on average 12 oz. and the female 9 oz. 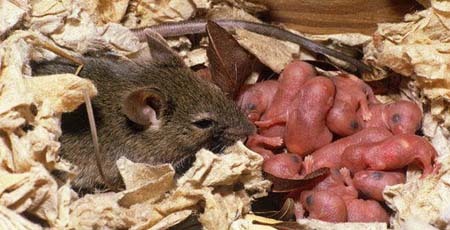 Brown rats in New England have originated from northern China, not Norway. This rodent is the dominant rat in Europe and much of North America. In addition to being a major nuisance pest, the brown rat can transmit certain diseases to people and animals, and can damage or contaminate large quantities of food products and crops. 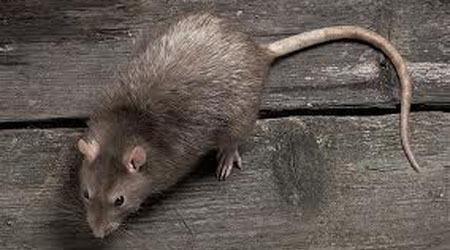 The Norway rat is extremely adaptable and once indoors in our Hanover MA homes can nest in wall or ceiling void, crawlspaces, attics, or inside furniture or other stored items. A young rat can gain entry to a building through an opening only slightly larger than 1/2-inch. Brown rats can travel along pipes or conduits, climb brick or rough walls, and can gnaw through various building materials including cement block. They sometimes enter buildings by traveling and swimming through sewer lines. They have been known to come straight up into our homes through the bathroom toilet. The brown rat is nocturnal and is a good swimmer, both on the surface and underwater. Brown rats live in large, hierarchical groups, either in burrows or subsurface places, such as sewers and cellars. Rats are known to burrow extensively. Rats generally begin a new burrow adjacent to an object or structure, as this provides a roof for the section of the burrow nearest to the ground’s surface. Thus, our cement foundations make good locations for them. The brown rat can breed throughout the year if conditions are suitable, with a female producing up to five litters a year. The gestation period is about 21 days, and litters can number up to 14, although seven is most common. They reach sexual maturity in about five weeks. Their normal lifespan is one to 2 years in Hanover MA, but they can live up to 3 years. Rat control in Hanover MA usually requires multiple strategies; baiting, sometimes trapping and rat-proofing to keep them out. For guaranteed rat extermination call our experts today at Security Pest Elimination. Do You See Mold in your Hanover MA Basement or Attic Ceiling?